28th March Arms, Militaria, Shotguns and Firearms and Air guns sale now online click here to view. 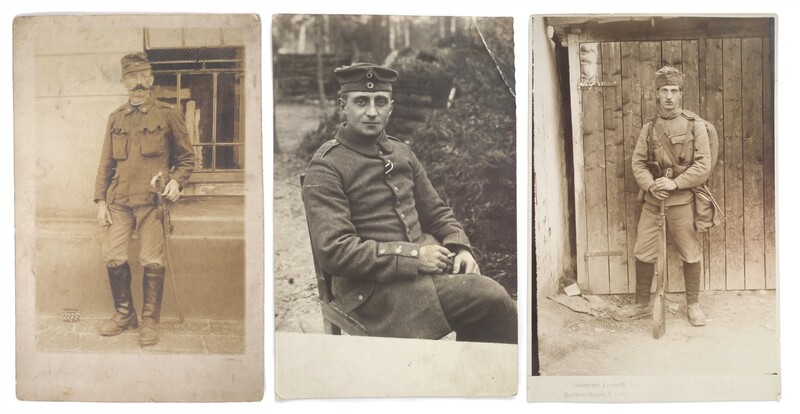 These cards show a personal side to soldiers of WW1 and represent both sides. 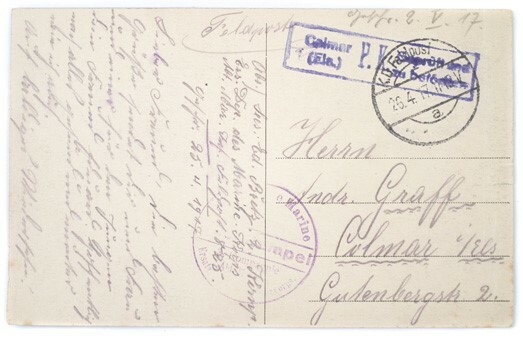 Included are three portrait postcards of German soldiers with inscriptions to the reverse of each. 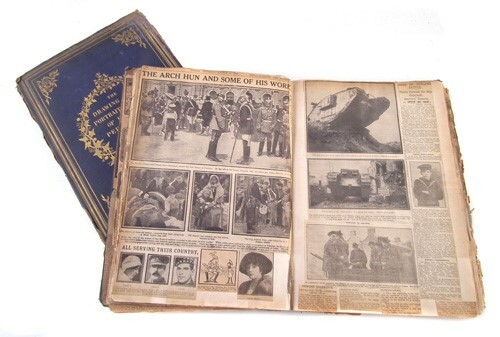 Also of interest are two scrap books of WW1 newspaper cuttings compiled with great care possibly by an anxious relative of a soldier at the front. These two volumes illustrate what the British public would have read day to day about the proceedings of the war and are fascinating to look through. 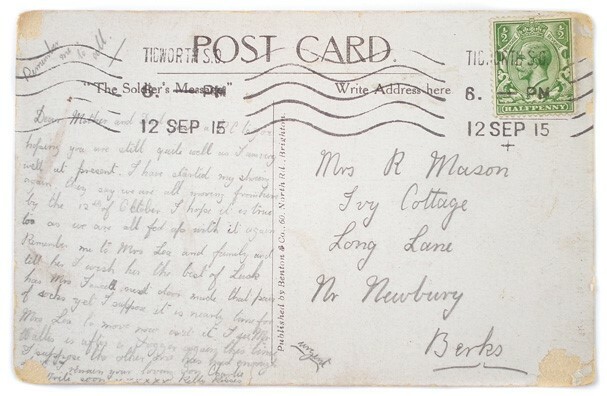 Now accepting entries to our 26th September Arms, Militaria, Shotguns, Firearms and Air Gun sale. Closing date 23rd August. Consignments for this sale are now invited. Please contact Chris Large on 01270 623878 or email chris@peterwilson.co.uk for more information.